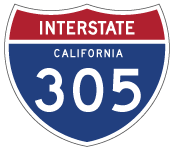 Interstate 305 was created in May 1980 by an action of the FHWA, after the long-planned upgrade of the Capital City Freeway (Business Loop I-80) was canceled.1 This upgrade outlined a new freeway to replace the Elvas Freeway north across the American River at Arden Fair to former I-880 at Watt Avenue. 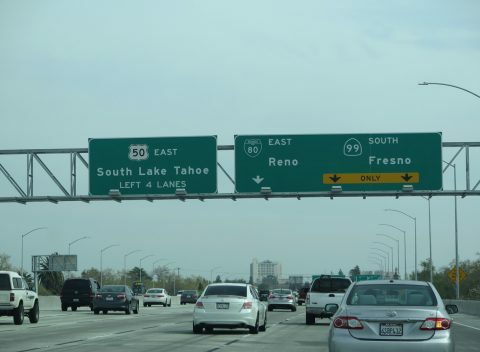 The realignment of I-80 would remove substandard sections of freeway, including some sharp curves, poor sight distance, narrow right-of-way, and small or nonexistent shoulders. The plan was moving forward through the 1970s until 1979, when the Sacramento City Council voted that year to delete the new Interstate 80 alignment and use the funding and right-of-way for a rail transit system. As a result of this action, the acquired right-of-way intended for I-80 and the partially built roadway was converted into a parking lot for Sacramento’s light rail system. Subsequent actions by the State of California and the FHWA rerouted Interstate 80 onto the existing Interstate-standard Sacramento Bypass (then known as Interstate 880). 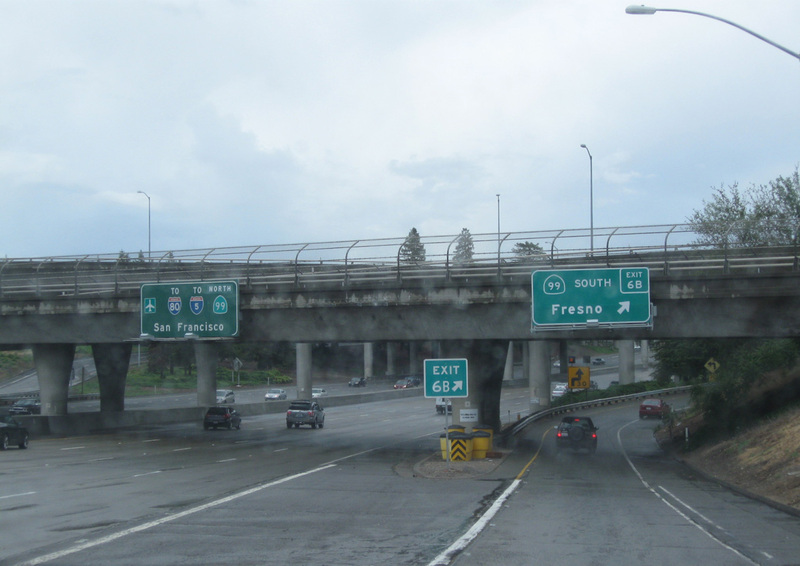 The unbuilt portion of I-80 in Sacramento was formally withdrawn from the Interstate System on May 15, 1980.2 The Elvas Freeway was renumbered as California State Route 51, but it was signed as part of Business Loop I-80 (Capital City Freeway) to allow for clear direction for travelers along Interstate 80 into Downtown Sacramento. 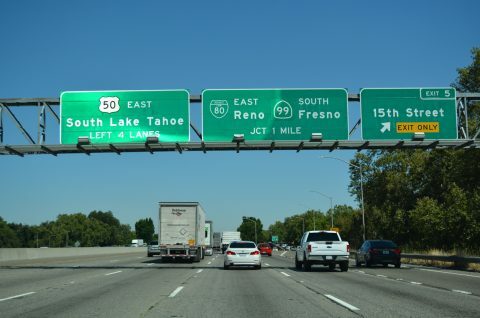 Interstate 305 (FAI 305) was established between I-80 in West Sacramento and U.S. 50 and SR 99 in Sacramento formally by the American Association of State Highway and Transportation Officials (AASHTO) on November 14, 1980. 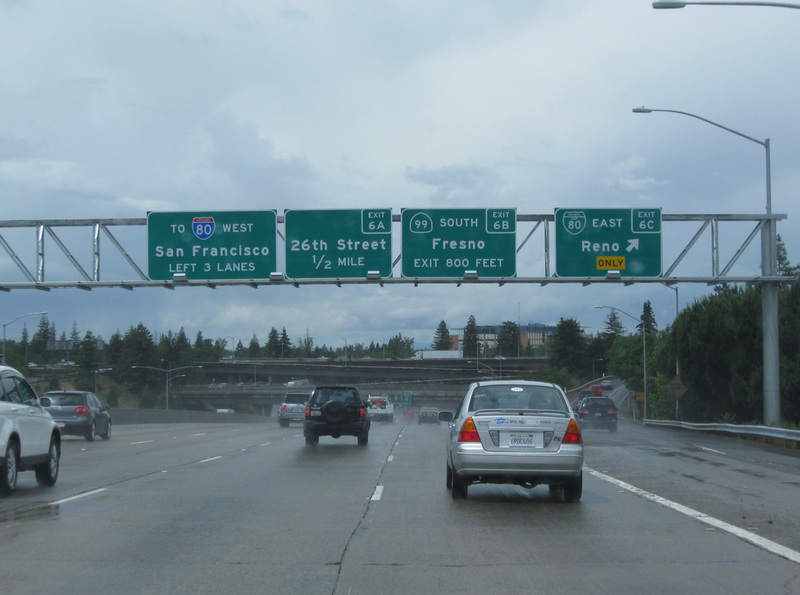 This included extending U.S. 50 west from SR 99 to I-80 over the 29/30th Street Freeway and the W-X Freeway. I-80 and I-880 remained in their previous, California-legislatively defined alignments in the state highway system until 1982. 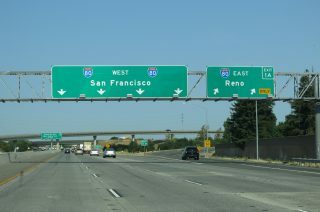 California State Senate Bill 191 in 1981 made several changes in the highway system to reflect the FHWA and AASHTO actions. 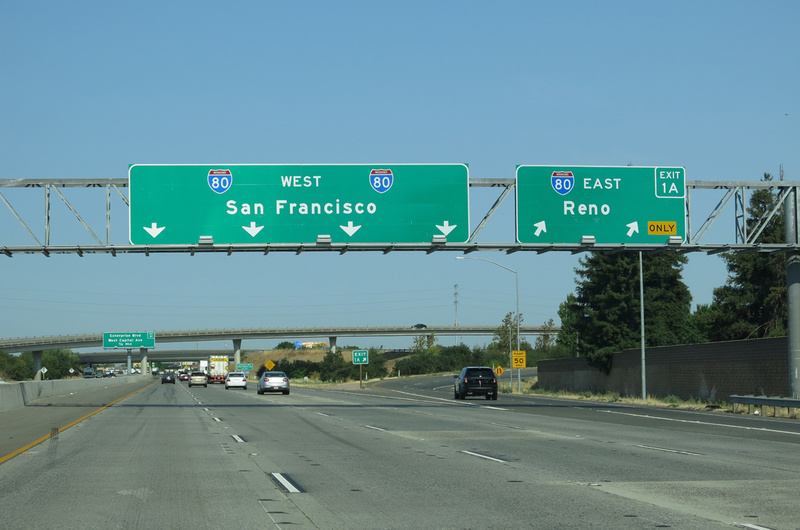 The SB 191 legislation deleted Interstate 880 from the state highway system and rerouted Interstate 80 over it. The FAP 51 segment of the Elvas Freeway was renumbered as SR 51. 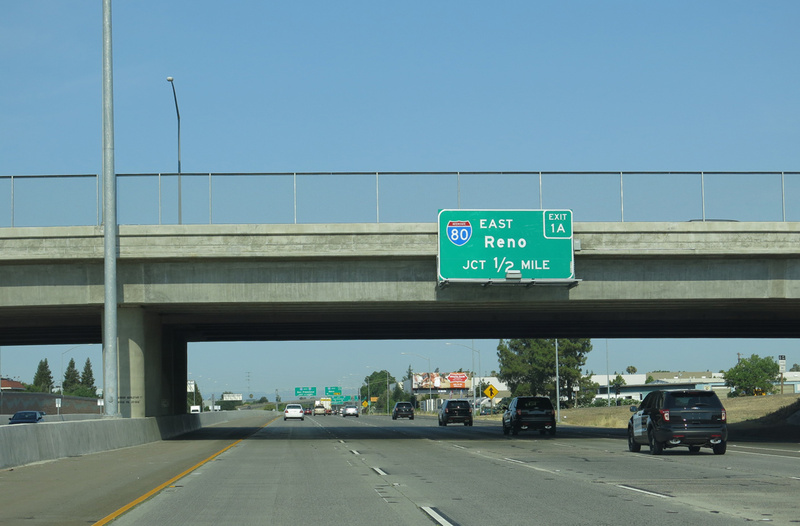 SB 191 did not call for the creation of Interstate 305 as a state route; instead it outlined the westward extension of U.S. 50 to I-80 in West Sacramento. 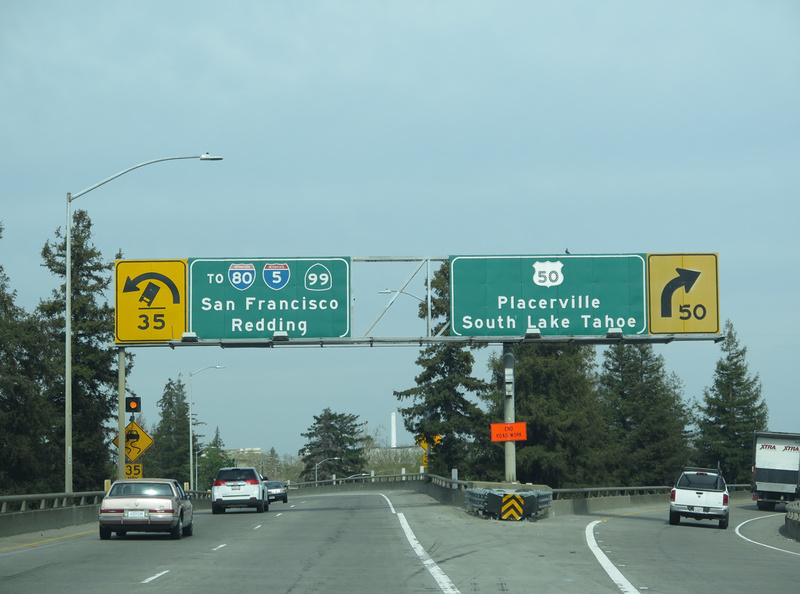 SB 191 established Business Loop I-80 along both the U.S. 50 extension west along the W-X Freeway (FAI 305) and the Elvas Freeway (SR 51) northeast from SR 99. Caltrans references the FAI 305 section a Legislative Route Route (LRN) 50.
Business Loop I-80 was renamed as the Capital City Freeway by the Sacramento Area Council of Governments (SACOG) in 1996. 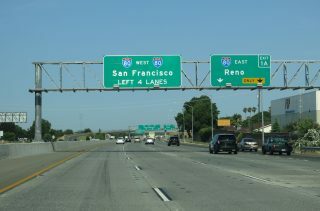 Despite the change, motorist confusion remained an issue and in 2015 sign changes implemented along the U.S. 50 portion of the route de-emphasized the Business Route. 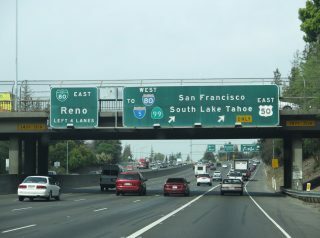 Exit 5 departs U.S. 50 (I-305) eastbound for 15th Street and former California 160 one mile from the systems interchange with Business Loop I-80 and California 99. Photo taken 07/10/18. U.S. 50 and I-305 follow what is locally known as the WX Freeway east to the split with Business Loop I-80 (Elvas Freeway) and SR 99 south. The freeway parallels W and X Streets across the Sacramento street grid. Photo taken 03/10/15. 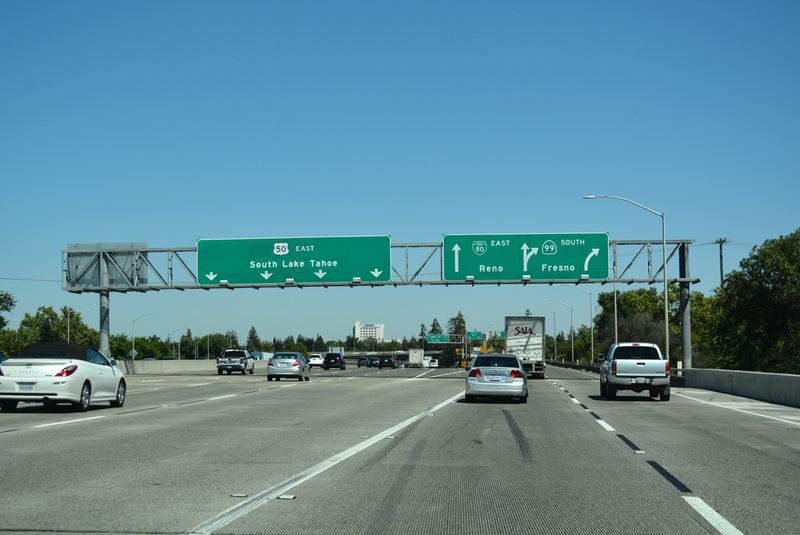 Three lanes separate from the WX Freeway for Business Loop I-80 (Capital City Freeway) east to I-80 ahead of Roseville and Auburn and the continuation of SR 99 south from Sacramento to Lodi and Stockton. Photo taken 07/10/18. Unsigned Interstate 305 concludes along the transition ramp from U.S. 50 east to Business Loop I-80 (SR 51). SR 99 emerges from an unmarked overlap with U.S. 50 south toward Fresno. Photo taken 07/10/18. 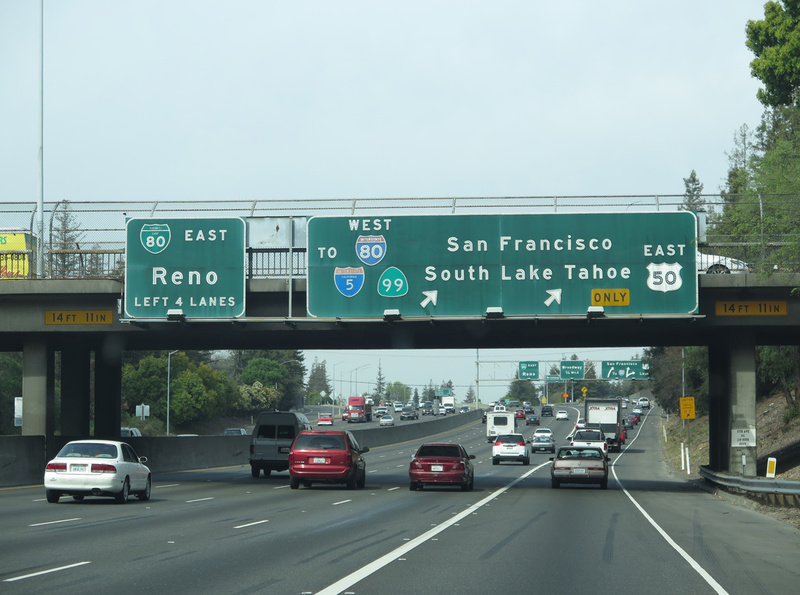 U.S. 50 travels west from Placerville to Sacramento mostly as an Interstate standard freeway. With increased commuter traffic from Folsom and the eastern suburbs, U.S. 50 swells to over ten lanes in places preceding the exchange with Business Loop I-80 (Exit 6C) east and SR 99 south (Exit 6B). Photo taken 05/13/11. 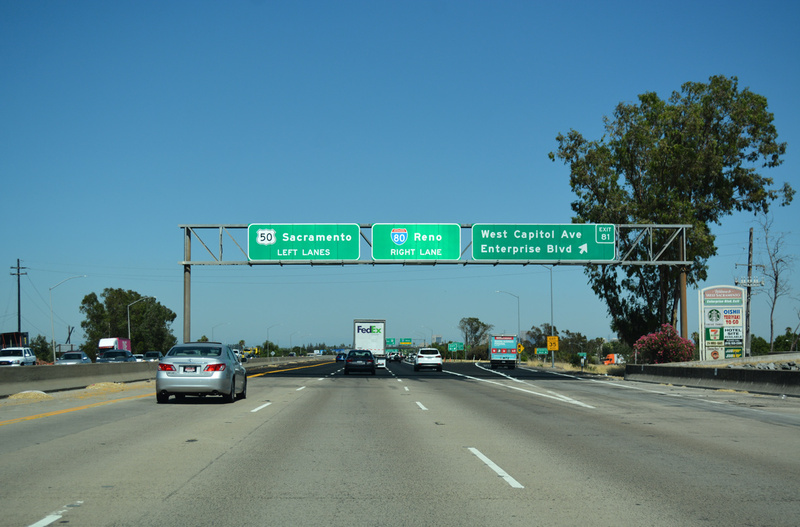 Exit 6C departs U.S. 50 westbound for Business Loop I-80 (Elvas Freeway) east as unmarked Interstate 305 begins. 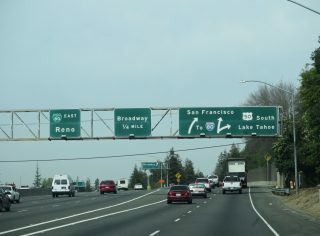 Business Loop I-80 (SR 51) leads northeast toward the retail corridor at Arden Way, connecting with Interstate 80 near Watt Avenue. Photo taken 05/13/11. 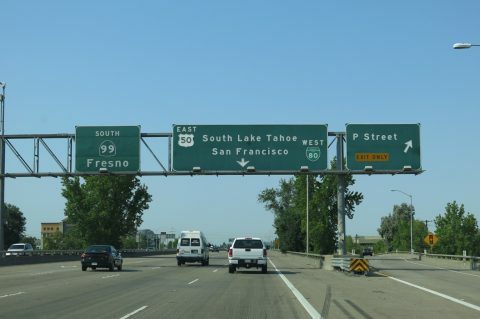 California 99 heads south from U.S. 50 in Sacramento through the Central Valley to Stockton, Modesto, Fresno and Bakersfield. 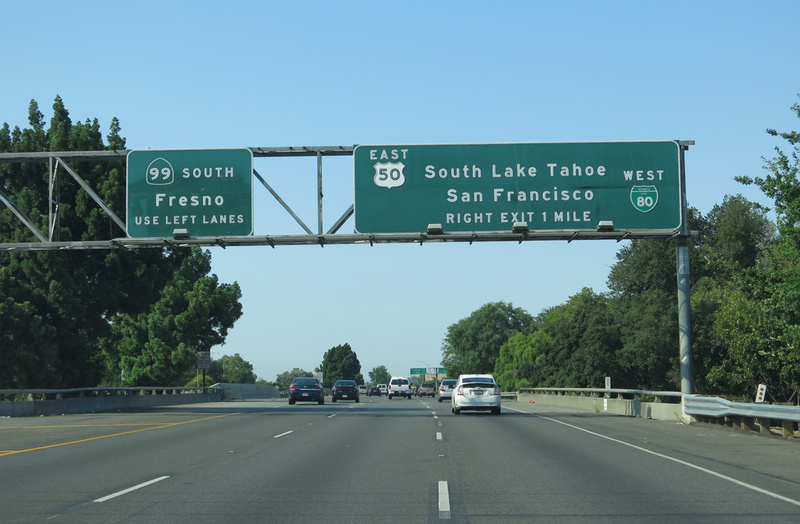 Providing a connection to Southern California, the California 99 freeway joins Interstate 5 near Wheeler Ridge. Photo taken 05/13/11. 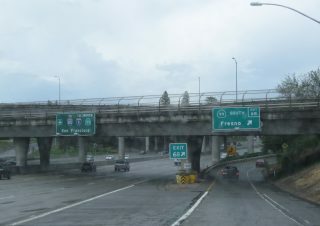 Spanning E Street, Business Loop I-80 (Elvas Freeway) advances southwest one mile to U.S. 50, SR 99 and Interstate 305. 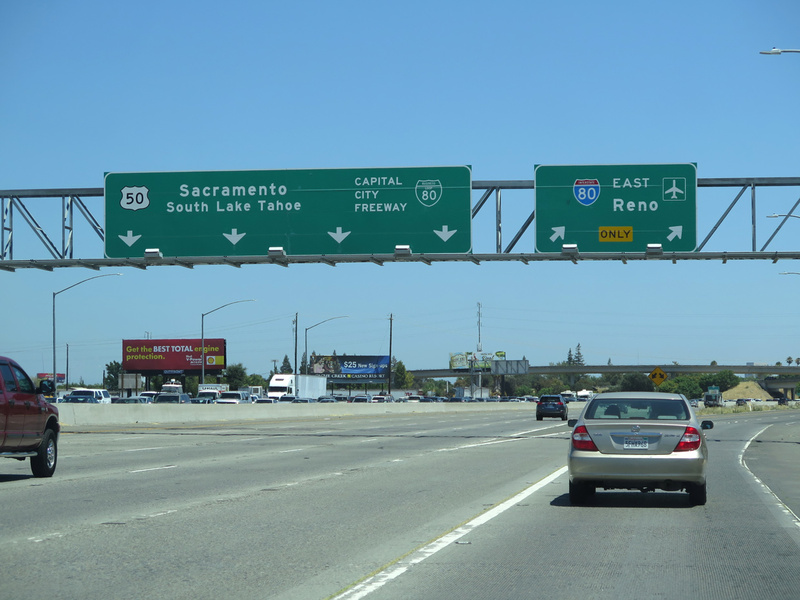 All guide signs for U.S. 50 were replaced in Fall 2016 to remove Business Loop I-80. Photo taken 07/02/13. 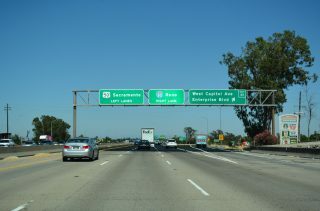 The mainline of Business Loop I-80 (29-30th Street Freeway) westbound leads to California 99, while two lanes partition beyond the P Street off-ramp for U.S. 50 and unsigned Interstate 305 to Downtown Sacramento. Photo taken 07/02/13. California 99 takes over from the 29th-30th Street Freeway south toward Elk Grove while Business Loop I-80 and unsigned California 51 end. 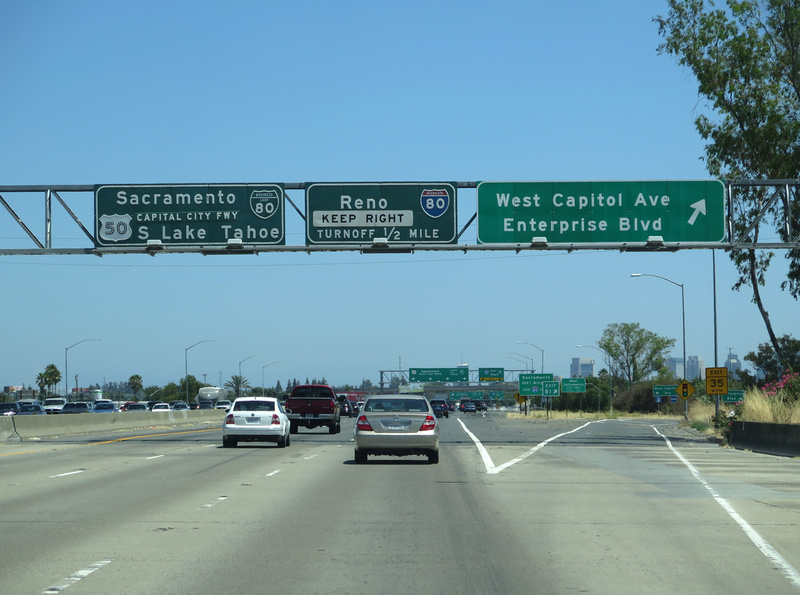 U.S. 50 enters the capital city from Folson and Rancho Cordova to the east. Photo taken 07/02/13. U.S. 50 and I-305 elevate westward along the WX Freeway by Midtown Sacramento. 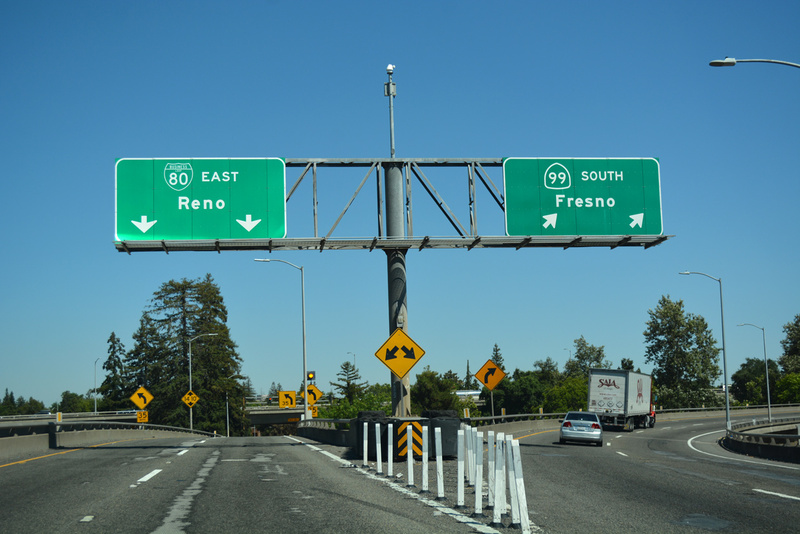 The two routes overlap six miles west to I-80 in West Sacramento. Photo taken 07/02/13. 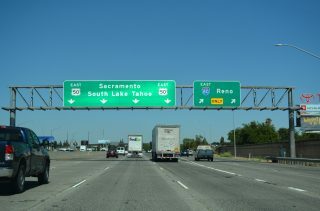 Approaching U.S. 50, unsigned I-305 and Business Loop I-80 (Capital City Freeway) on California 99 north at 2nd Avenue in Sacramento. Prior to 1964, U.S. 50 ran concurrent along then-U.S. 99 north from Stockton to this exchange. Photo taken 07/02/13. 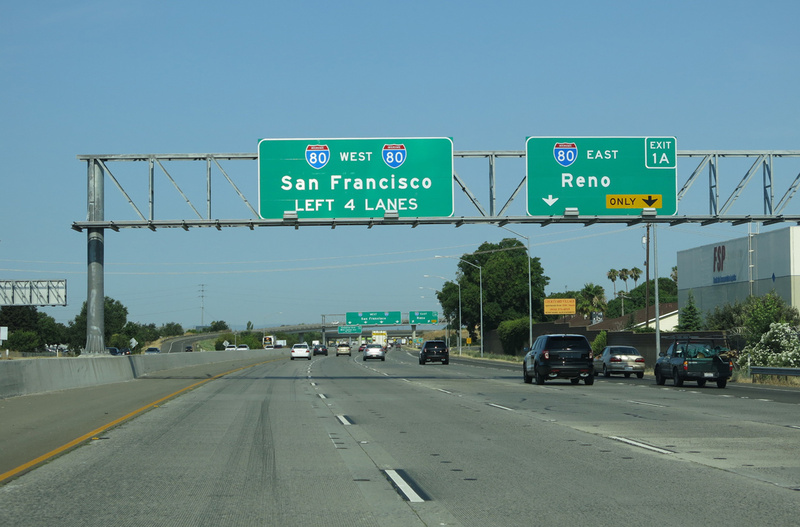 Four lanes extend north from SR 99 onto Business Loop I-80 & SR 51 (Elvas Freeway) eastbound. Photo taken 07/02/13. SR 99 turns west along side U.S. 50 and I-305 to Interstate 5, but is unmarked beyond the exchange with Business Loop I-80. 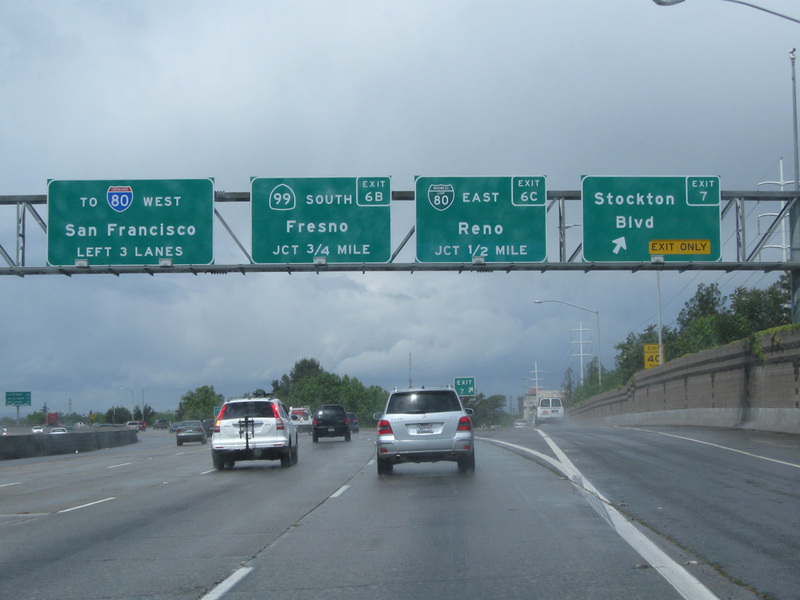 The state route emerges from I-5 north near Sacramento International Airport (SMF) to Yuba City, Oroville and Chico. Photo taken 07/02/13. U.S. 50 proceeds a half mile west from the six-ramp parclo interchange (Exit 1B) with Harbor Boulevard to the eastbound on-ramp for I-80 in West Sacramento. Photo taken 07/02/13. 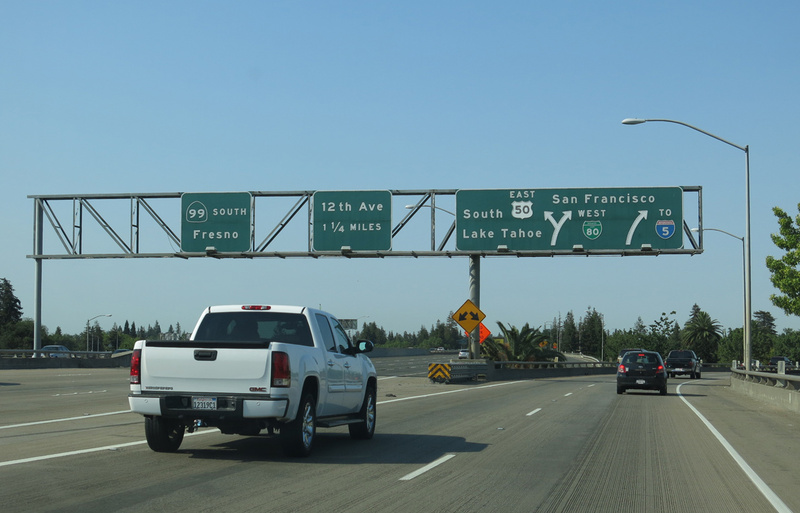 Four lanes continue west from U.S. 50 and I-305 onto Interstate 80 westbound ahead of the Yolo Causeway to Davis. Photo taken 07/02/13. U.S. 50 concludes a 3,000 plus mile route from the Atlantic coast along with unsigned I-305 at the directional T interchange (Exit 1A) with I-80. 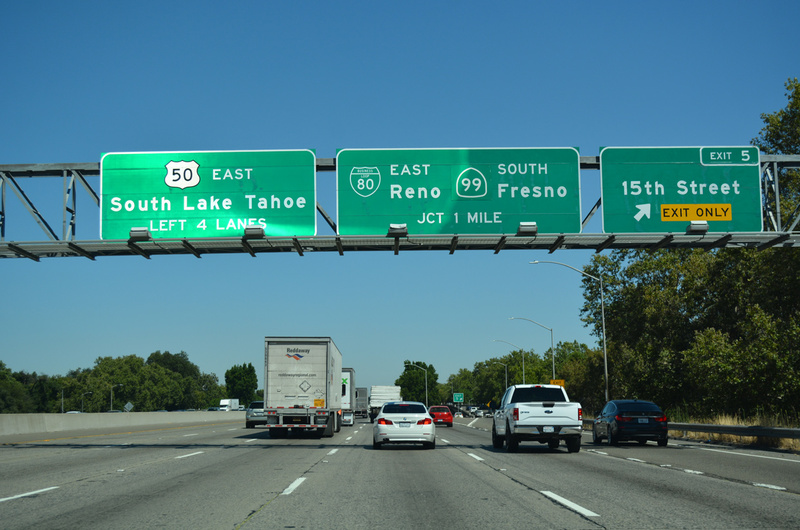 I-80 arcs northeast to meet I-5 south of Sacramento International Airport (SMF). Photo taken 07/02/13. Interstate 80 crosses Yolo Causeway to the city of West Sacramento. Exit 81 to West Capitol Avenue (Historic U.S. 40/99W) precedes the separation with U.S. 50 (I-305). Photo taken 07/10/18. 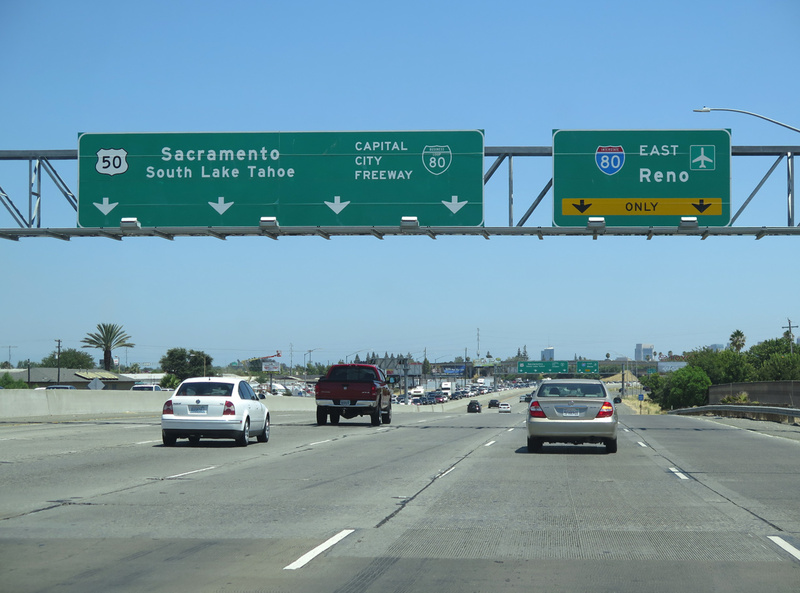 Four lanes transition onto U.S. 50 / unsigned Interstate 305 toward Downtown Sacramento while I-80 branches northeast along a two lane flyover to bypass the capital city. Photo taken 07/10/18. 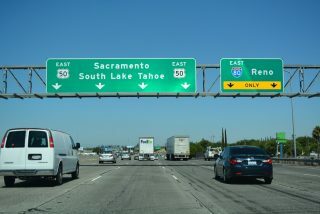 U.S. 50 commences the cross county route to Ocean City, Maryland along side Interstate 305 from I-80 in West Sacramento. 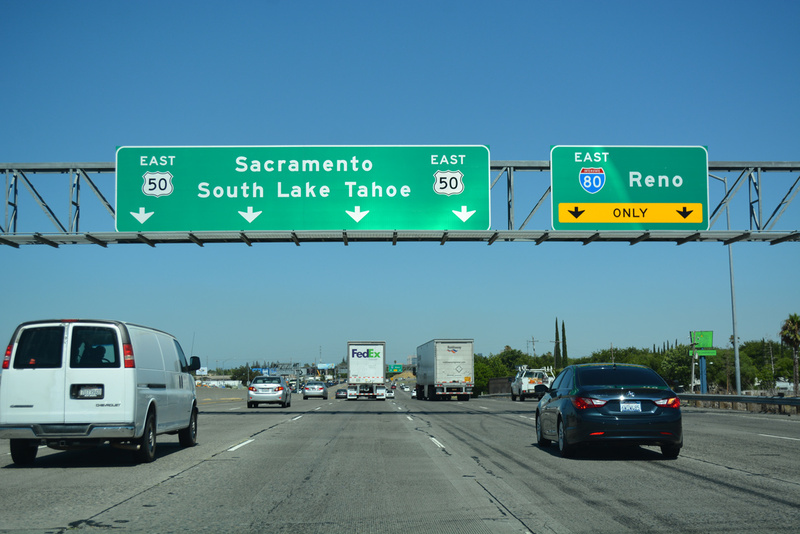 Within the Golden State, U.S. 50 joins Sacramento with Placerville and South Lake Tahoe. Photo taken 07/10/18. 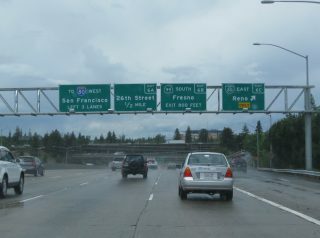 Interstate 80 east at I-305 and U.S. 50 prior to the replacement of signs acknowledging Business Loop I-80 and the Capital City Freeway. Photos taken 07/24/16. Former Interstate 305. 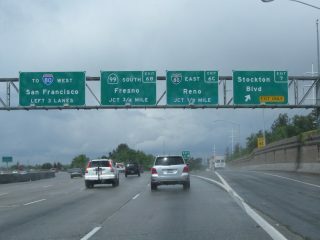 California Highways (www.cahighways.org). The Dwight D. Eisenhower System of Interstate and Defense Highways, Part V – Interstate Withdrawal-Substitution Program. Parker, Scott. 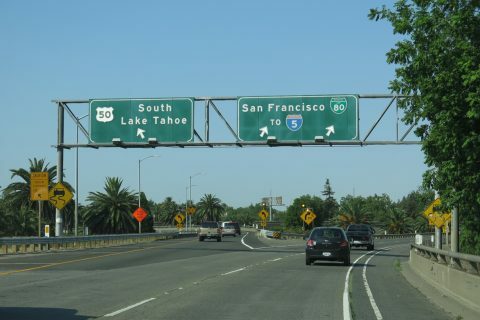 Personal Email, “99 rewrite, info/suggestion re Sacramento road mystery,” June 6, 2006. Elvas Freeway – US 99E. http://home.pacbell.net/hywaymn/Elvas_Freeway_001.htm. The Highwayman’s Road Reports (Joel Windmiller). Page updated March 11, 2019.